I hosted Christmas Eve again this year and, for dinner, served this Bolognese with some fun pasta and a gorgeous green salad. For appetizers I kept it simple-some hummus, crackers, cheese, olives etc… I wanted to serve something warm also though. 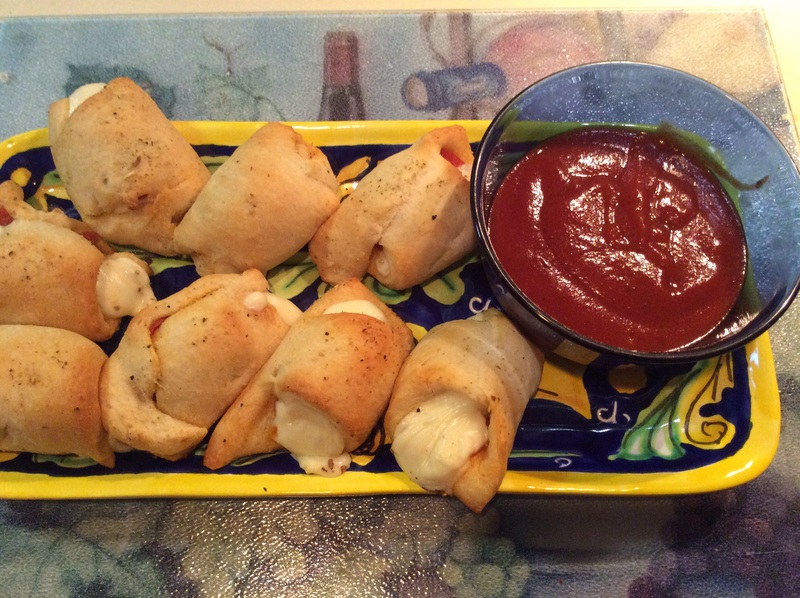 These pepperoni roll-ups fit the bill perfectly. Super easy to make and even more delicious! I followed the recipe but I think next time I will halve everything and make double the amount at half of the size. I think you could probably make these ahead of time and leave them in the fridge until you’re ready to bake them. Preheat oven to 375. Place a sheet of parchment paper on a rimmed baking tray. Unroll the dough and separate it into the 8 outlined triangles. 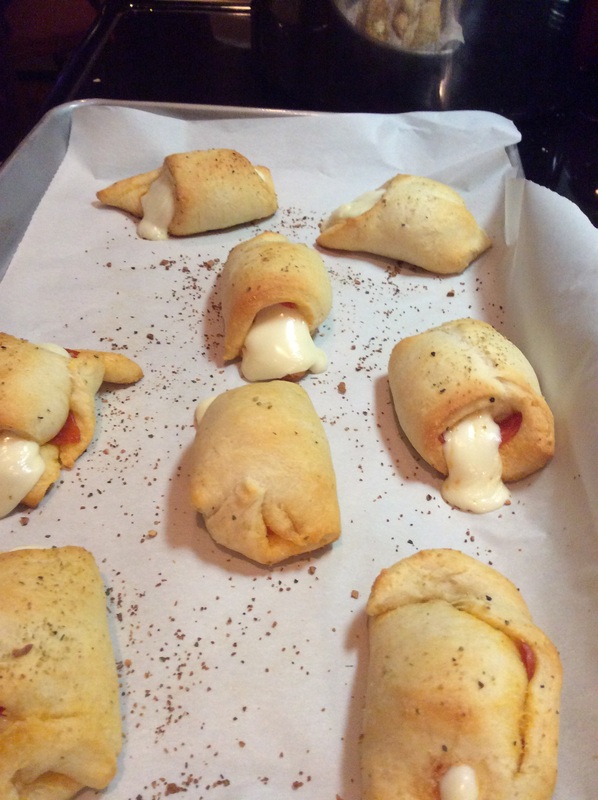 On each piece place 8 quarters of pepperoni then place the piece of cheese on the small corner and roll it up starting with the short side. Pinch the seam across the dough to seal. Sprinkle with the Italian seasoning. Place them 2 inches apart on the prepared baking tray and bake for 10-12 minutes. Watch them carefully. Warm the pizza sauce while they’re baking. Remove them from the oven and let them sit for 2-3 minutes then serve immediately with the warmed pizza sauce for dipping.